iOS 6.1.3 Jailbreak is one of the most hottest and demanded thing among the iOS users. Apple has recently released iOS 6.1.3 with a security patch to jailbreak loopholes, and sends out many users away from the Cydia and Jailbreak tweaks. iPhone Jailbreak developers seems to be pretty busy in working on different security holes instead of burning their already discovered security whole on iOS 6.1.3. It was reported several times that developers have already got access to enough security holes that allow them to release iOS 6.1.3 Untethred Jailbreak for iPhone / iPad users. But it seems the developers decided to avoid iOS 6.1.3 Untethered Jailbreak, and focuses on the upcoming iOS 7 Jailbreak. 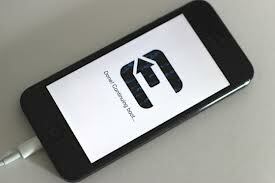 The decision by iPhone Jailbreak developers left iOS 6.1.3 users in dark, and opened a door for any other security expert to come and rescue the users on iOS 6.1.3. But it appears that no one is interested in burning his exploits on iOS 6.1.3 Untethered Jailbreak. The A4 Devices has already got their traditional iOS 6.1.3 tethered jailbreak, but the A5+ devices are still in the dark with iOS 6.1.3. However, it appears that someone in the iPhone Jailbreak developer’s team is finally working on the iOS 6.1.3 Untethered Jailbreak, and demoing it publicly among the other security experts to get reviews of his work. We are talking about the popular iOS security expert, Stefan Esser aka i0n1c, who is popular for releasing his iOS 4.1.3 Untethered Jailbreak and becomes the last hope for iOS Jailbreak hope for users. Stefan Esser has been found several times talking about the iOS 6.1.3 Untethered Jailbreak, and his bag full of iOS exploits that allows him to bring untethered jailbreak on any device. But he is also known for not sharing his exploits for free! He has recently demoed his iOS 6.1.3 Untethered Jailbreak exploit at SyScan 2013 conference in Singapore. He used a filthy redirection trick to land his iOS 6.1.3 Jailbroken exploit IPA on device from official Apple website. He publicly performed iOS 6.1.3 Untethered Jailbreak on iPad Mini. He has further share his backend work on iOS 6.1.3 Jailbreak publicly with developers to make use of it. He has released a number of his slides from the submitted data to SyScan, and whitepapers belong to iOS 6.1.3 Untethered Jailbreak security loop holes. He also highlights the weak point of Apple’s popup boxes which let anyone to think that Apple is offering iOS 6.1.3 Untethered Jailbreak for their devices.